how long can i keep kefir milk in fridge ? Hi, I just purchased Yogourmet Kefir starter kit. Is this only to make Kefir or will I get Kefir grains once its done? I’m a little confused. I want to have Kefir grains to make coconut Kefir and I know it needs milk to regenerate. Can someone explain the difference. My personal trainer put me on a diet that has me eating 1 cup of cottage cheese and 1 cup of yogurt a day. I find my migraines are worsening and I would like to switch to kefir. Can someone please tell me how many protien, carb and fat calories are in a cup of milk kefir? Thank you. 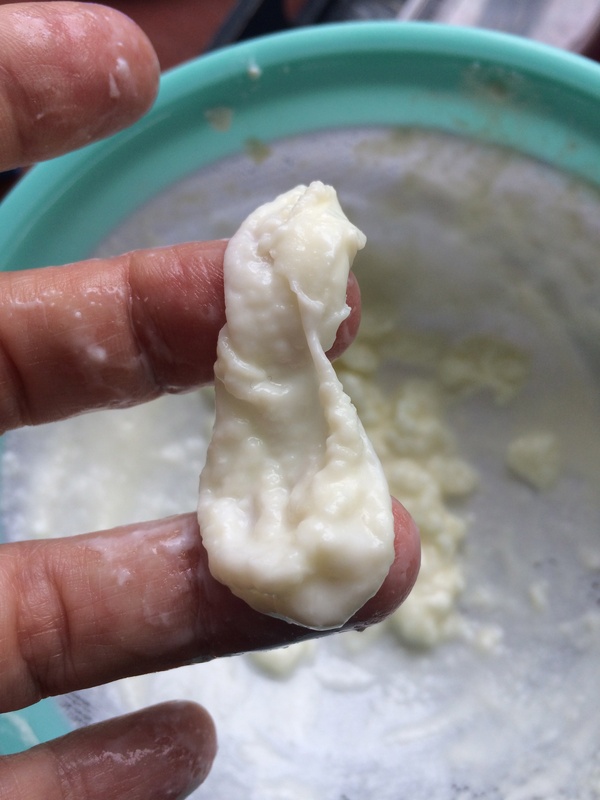 Sharing my experience in using Kefir for peripheral neuropathy and an approach to Increasing/ensuring the biodiversity of Kefir 😉 Its long but though it may help others. I’ve been making my own keifer for about a month, and reading about it for about 3 months. I decided to go down the probiotic path to address by idiopathic peripheral neuropathy (i.e. tingling/burining/pain in my feet for which the doctor could find no cause). I did some dietary experiments and found I am gluten sensitive and so went for a probiotic treatment. Started with yogurts and hyperbiotics Pro15 pills as the listed strains were the ones I found in studies that showed probiotics could be helpful for neuropathy. After about 2 months I was seeing improvements — still some issues but at least I was able to sleep through the night. However, the yogurt and pills were costing >$1.5 a day so I started to look for alternatives and found kefir as a possible solution. I found someone giving away grains on Craigslist, and started making it at home. Depending on what you read.. and I read a lot, Kefir may or may not have the strains that I wanted to have. In particular I found the article http://journals.plos.org/plosone/article?id=10.1371/journal.pone.0069371 insightful but somewhat discouraging as various Bifidobacterium are were in the studies on improving neuropthy (and also in others about improving muscle mass, improving memory and other issues like dementia. But the above article found Bifidobacterium in only 2 out of 25 kefir milks and associated grains sourced from 8 geographically distinct regions. Another meta-anaysis(http://www.mdpi.com/2311-5637/3/1/1/htm) found even lower fraction of Bifidobacterium. The cost of getting my “kefir grains tested, was likely to be prohibitive and searching for those with Bifidobacterium seemed like a difficult problem. i was torn, do I keep doing kefir, supplement them with the pills or just go back to pills. Then I remembered an article about how to tell if your probiotic pill was actually “live”, which was to try to culture some milk with it for 24-48 hours. I thought I could expand on that that idea to add the desired strains of bacterial to my kefir grains. Went looking and found a paper on the base idea http://www.sciencedirect.com/science/article/pii/S0168160514001111 So I guess it should be viable; at least some strains of Bifidobacterium do well in kefir and kefir grains. Unfortunately the paper seems to have done reinocculation with each new batch of kefir (so they always start from a known state). While they studied only a few strains of Bifidobacterium, with some noticeable difference in survival, some grew and others populations were reduced — so not all strains are likely to survive many kefir cycles. But it suggests some will. So I took one of my pro-15 pills and dissolved in a cup milk (took quite a while, showing the time-release of the pills also works). After about 18 hours (maybe sooner but it was overnight so that is just when I checked), the milk had started to convert and show thickness few curds (no whey visible yet). I took 2 of my smaller grains and added them, and move the whole batch to a quart jar adding more milk, and set out to culture on the counter. In about 12 hours I had strongly separated curds and whey (so likely lower PH showing the Bifidobacterium were likely effective). I’ve now done more batches and the grains seem to be happy and producing kefir. (I’m doing the new batches using both grains and some of the kefir liquid (maybe 2-3 tablespoons to a quart), just incase the Bifidobacterium don’t want to take up home quickly in the grains. and its not like it hurts to keep moving some forward like one does for yogurt culturing. I have no real low-cost way to test if this is producing the strains that I want i the kefir, but it was so simple to try, and it did not seem to hurt my grains, i figured I’d share both the idea and the references it incase there are others like me that wondered if they were getting the full range of probiotics that they hoped from their kefir. (If anyone has the skills/equipment to test this idea I have both some of the original grains and inoculated grains I could provide for testing). Depending on what you read.. and I read a lot, Kefir may or may not have the strains that I wanted to have. In particular I found the article http://journals.plos.org/plosone/article?id=10.1371/journal.pone.0069371 insightful but somewhat discouraging as various Bifidobacterium are were in the studies on improving neuropthy (and also in others about improving muscle mass, improving memory and other issues like dementia. But the above article found Bifidobacterium in only 2 out of 25 kefir milks and associated grains sourced from 8 geographically distinct regions. The cost of getting my “kefir grains tested, was likely to be prohibitive and searching for those with Bifidobacterium seemed like a difficult problem. i was torn, do I keep doing kefir, supplement them with the pills or just go back to pills. I took a break from kefir brewing in February of this year. I had a liver contusion and my Dr advised no alcohol. Kefir is the only source of alcohol I consume, be it ever so slight. Anyway, I fed my grains, put the qt jar in a dark pouch and literally forgot about them. A month ago, I discovered my jar. I reluctantly went to dump the predictably foul concoction down the drain, and to my surprise it smelled fine and the grains appeared healthy. I rinsed them and fed them. I tossed out the first few batches. They are now brewing fizzy kefir. Is this an odd occurance? They lived, unfed for 5 or so months. Does the more sourish tasted kefir contain more health benefits compared to the less sour kefir? 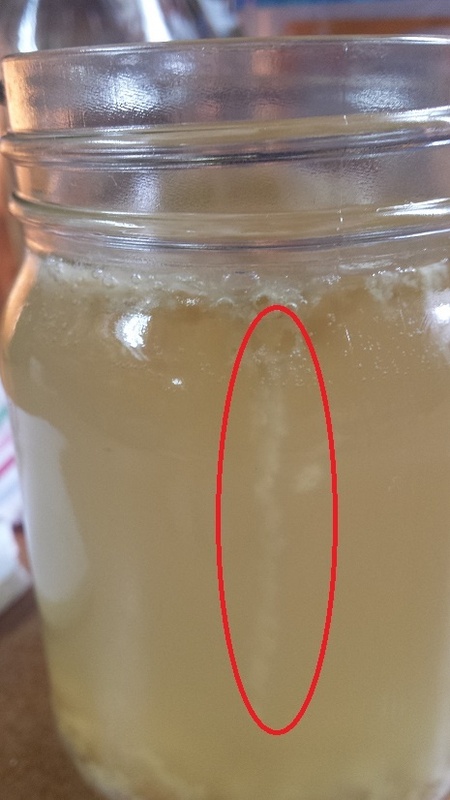 Anyone have Water Kefir grains to spare near/in DC? Would someone clear up these points for me..? Is there any loss of nutritional benefits/balancing where the following are added to kefir: homemade toasted muesli that includes nuts, seeds oats and dried fruits bananas, raspberries, strawberries, blueberries? Secondly, are there any differences between cows / goats milk kefir, given that, so far as I know, my gut is not allergic to either? Hi! 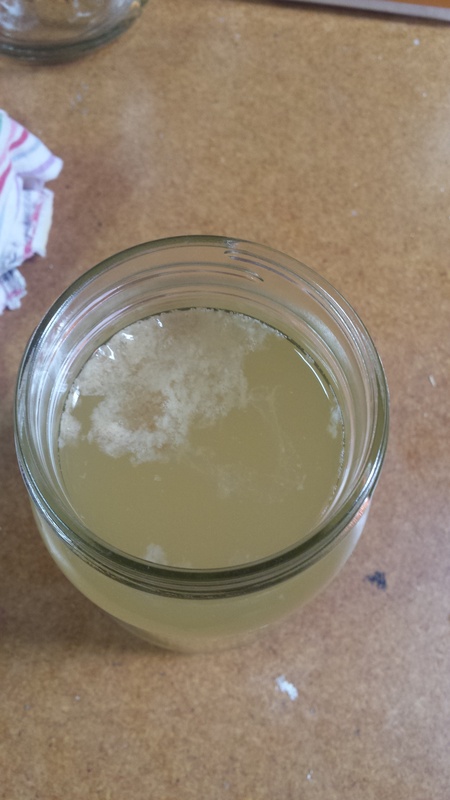 I have just started making kefir. First time I tried it I drank a small bowlful and couple of hours later got a bad headache that lasted all night. Does anyone else get this problem? Thanks. Hi, has anyone tried Kefir with almond milk? I make it myself. Is the benefits still the same? I’ve tried it with Soya milk and it seems ok. I want to give some to my vegan daughter. If i have been storing my grains in the fridge for a week or 2 can i drink the milk that i strain off? Hi there Good Kefir Peoples, I have just begun taking kefir and so far no issue…But could someone inform me as to when is the best time to have eight ounce glass of Kefir?? Like with Apple Cider Vineger it is recommended to consume in the morning or before each meal (I stopped this as my old hernia began to play up, hence the move to Kefir yoghurt)…But I have not read anything to suggest when is best to have Kefir Probiotic Yoghurt, which I love love love….I purchased one with coconut in it and it is fantastic. The theory says you want to get them through your stomach quick (they don’t survive for too long at a Ph less than 3. So first thing in the morning with a gab before you eat will help it get through without too much digestion. That said I still mix mine up because after a few week of kefir for breakfast I want something variation so I’ll also do it as a smoothy or even lunch. (Often I drink kefir whey those mornings as it still has many of the probiotics, and when I do straining for greek-style kefir which is easier to take for lunch, I get a good bit of whey. I started Kefir however it tastes like sour milk. Smells like yeast. should I do with it? Throw it or is there a way to fix it? My kefir grains have been used daily, by me, for ten years…I’ve added kefir to most recipes,shared for ten years. I’m ready for separating probiotics from kefir or grain for skin purposes! Check out new expensive skin creams either probiotics! WE, the kefir community, have more to learn, more ways to improve us, inside and out!…anyone have ideas how to do this? I propose mamy of us accept this challenge! As I age, I know wrinkles, dark skin spots can all be improved! Let’s do this! Can anyone recommend a credible and reliable Kefir seller, I just used one from Amazon and found what was sent was considerably less that was shown in the advertised photo. Also even asking them would not tell me, what is meant to be the consistency of Kefir is is meant as a milky drink or as a yogurt. It also appears unless you pay for a Kefir strainer, the process of finding the kefir grains can become very messy, hard to find, appears to break up the grains so making it harder to find next time – which results in the grains become indistinguishable from the liquid. I’ve been making kefir for many years. I guess because I’m familiar with it, I’m able to see the grains floating on top. I spoon them out with a large plastic spoon.